Some people make food the key focus of a trip abroad and there are a plethora of cooking courses and market tours that can be done almost anywhere in the world. I belong to the group of people who prefer to get on and eat the specialities rather than create them from scratch, so here are my top dishes from various countries around the world. Most countries are patriotically proud of their cooking (even if it’s not always merited!) so they also get a mention here. If you have a particular favourite that’s not on the list then feel free to comment below. Kenya: Kenya was rather similar to Egypt in that foreigners are catered for rather well on safari and in coastal resorts. 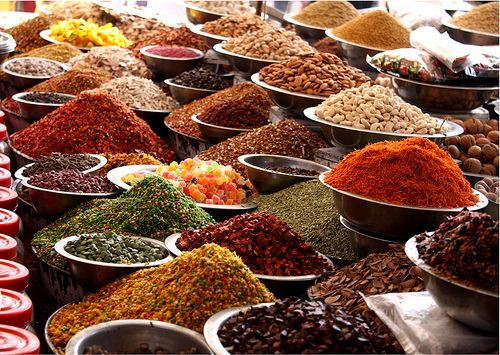 I remember an incredible spice shop in downtown Mombasa with walls and walls full of brightly coloured spices. Inside it was even quite difficult to breathe! Nearby in the market we were assaulted by locals pushing watermelons and passion fruit in our faces, not the subtlest of sales strategies! In such a hot climate, fruit is an absolute godsend and the climate means it’s possible to enjoy many of the exotic fruits that we import into the UK, only much much fresher. 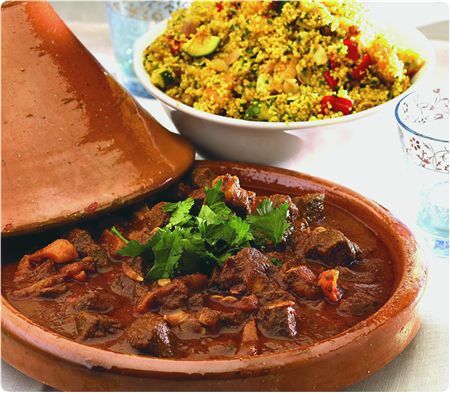 Morocco: I can’t claim to be a great expert in Moroccan food but I could easily live off couscous and you can now find tagine, a spicy meat and vegetable stew, served in restaurants all over Britain. Chile: Chile isn’t exactly known for its cuisine but it does have some key dishes that should be tried. 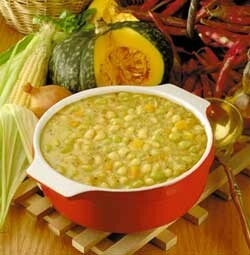 Porotos Granados is a typically Chilean stew that comes from the rural countryside. It’s made by cooking beans with mazamorra (maize) and adding basil, pumpkin, sweetcorn and tomato, as well as other spices. It’s a hot dish eaten mainly in the summer, as that’s when the main ingredients are harvested. Humita is a dish from the Andes and it’s basically a paste made from sweetcorn which is seasoned and then wrapped in the leaves of the sweetcorn itself. 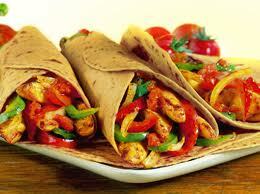 It’s seasoned with onions, chilli, salt and pepper, and once it’s ready you can also add sugar to it. In southern Chile the preparation of the Curanto is considered almost a social event as it takes at least five or six people to make it and the large number of ingredients means there’s enough for many many people. It’s typical of the Chiloé island and it combines seafood with fish as the main ingredients, along with potatoes and various vegetables. It’s served with other typical products such as chapalele (dumplings) and milcao (potato pancakes). Cuba: Cuban food is really nothing to write home about. With the local population living in such poverty and with such strict rationing imposed by the communist government, it’s very hard for them to get hold of decent ingredients, and beef is prohibited except for in state-run restaurants. In 2001 one man even committed suicide to avoid arrest after the police caught him illegally cooking beef. Staying in ‘casas particulares’ (which are Bed & Breakfasts run by local Cubans) is a great way to actually meet some locals and the government actually tries to prevent tourists from coming into too much contact with natives. Food-wise they have particularly limited resources and our staple diet for a month involved rice and black beans, known as Moros y Cristianos. If we were lucky there’d be some chicken but in one “restaurant” we ate in (it was too disgusting to really merit that title), the “chicken” we were presented with seemed to have bits of fur and we really rather suspected that the meat could actually be dog or cat instead! Despite my complaints, the fruit platters we awoke to every morning were absolutely divine, one of the highlights being freshly squeezed guava juice. Try it, honestly. 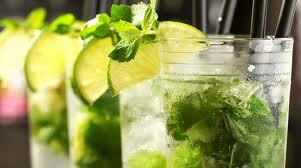 And who can fault a Cuban Mojito? In the rest of the world it’s made with mint leaves, but in Cuba it’s actually made with leaves from the Yerba Buena plant, which was originally only found in Cuba. Mexico: I can’t yet claim to have been to Mexio but if the food there is anything like the Mexican food we have here then I’m a big fan. Tacos, fajitas, nachos, enchiladas, burritos, so much choice. Fajitas would probably steal the crown as my favourite of the bunch, as the whole process of putting together all the chicken, peppers, onions, and various sauces into the tortilla just creates that mouth-watering anticipation and is just heaven in my mind. The USA: Hot dogs, cheeseburgers and enormous steaks characterize the stereotypical view of American cuisine and have been so widely exported through chains such as McDonalds and TGI Friday’s that they’re not exactly exotic for us. However the typical diner experience is still unique to the US and actually my favourite meal stateside was breakfast in a New York diner. 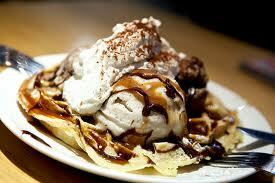 Warm waffles piled high with scoops of ice cream and endless sauces and toppings. Calorifically frightening, it’s true, it was a feat only to be undertaken by the truly ravenous. 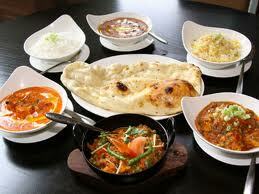 With such a huge immigrant population, the US is a huge melting pot of different cuisines, as it were. In New York alone you have Little Italy, Chinatown and of course the Hispanic community in the Bronx. 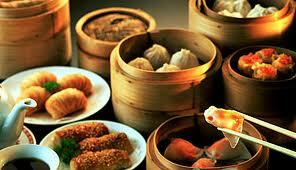 China: Chinese food here in the UK varies dramatically from the Chinese food actually found in China. 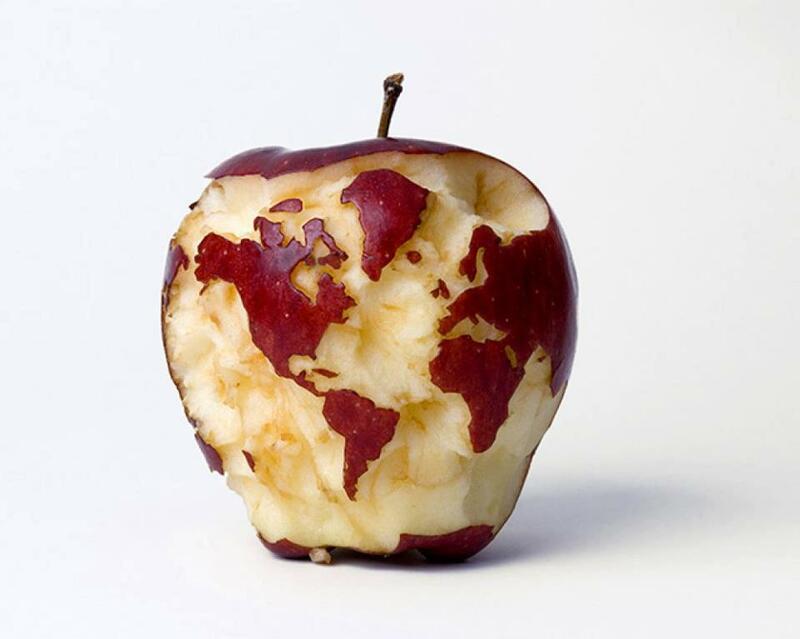 While a few staples are the same, what we eat over here is a great deal more exciting than the reality. The average Chinese person consumes 90kg of rice per year, showing how much their principle crop features in their diet. However it’s not all disappointing, as a certain dumpling shop in Shanghai has a constant queue round the corner as they are simply that good. 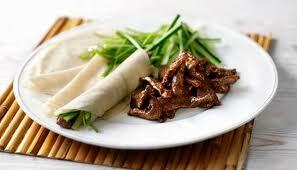 In Beijing we splashed out on Peking duck pancakes (a delicacy in China) and ordered half a duck. Rather surprisingly, out came half a duck’s head as well! It had been cut bang down the middle between its eyes and was slightly off-putting to say the least! India: To Brits, India is synonymous with curry, although one of our nation’s favourite curries, Chicken Tikka Masala, was supposedly invented in Glasgow. I’ve heard that curries in India are considerably hotter and spicier than what we’re served up back home and seeing as 80.5% of Indians are Hindu, a lot of their curries are meat-free. Laos: The one piece of food that sticks out most in my mind is not something I’ve actually tried, but is something that I saw while sitting in a bus (which I might add was carrying a group of goats on the roof!) as a woman next to me tucked into Khai Luk, which is the innards of a nearly mature duck or chicken embryo…. 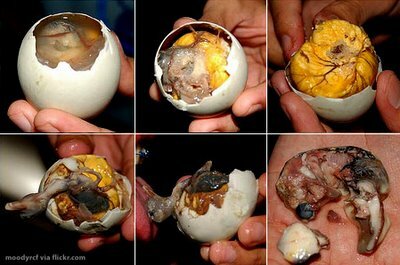 It made me feel almost sick just to look at it. 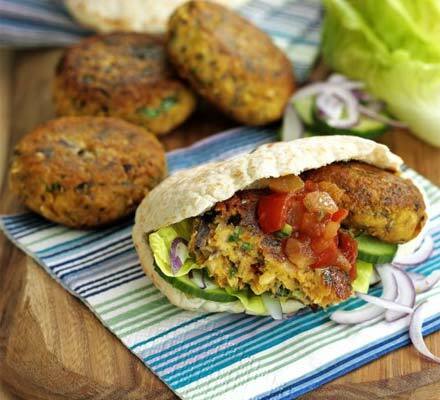 Malaysia: Malaysia is made up of many different nationalities, and alongside the Malay population there’s a strong Chinese and Indian influence as well, so there’s a huge range of different foods. 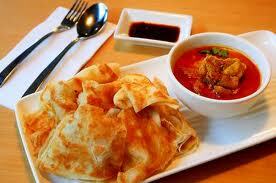 I literally lived off Roti Canai which is a flatbread served with various curry-like sauces. It’s another one of those dishes I could happily eat for breakfast, lunch and dinner. Thailand: Wandering along Khao San Road in Bangkok, you’ll be offered deep-fried cockroaches, grasshoppers and other revolting insects, which are not just there for the tourists to squeal at, but are actually eaten all over South-East Asia. On a slightly nicer note, Thai green curry is a must-try, and their variety of noodle dishes are just scrumptious. 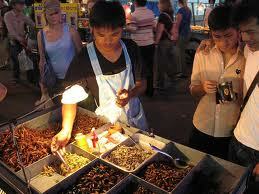 Just be picky with where you eat as many a fried fly has appeared in plates of food I’ve ordered! Austria: All that folk dancing makes for hungry work and Austria’s most famous dish is Wiener Schnitzel (breadcrumbed and fried veal escalope), which I personally don’t think is all that great. 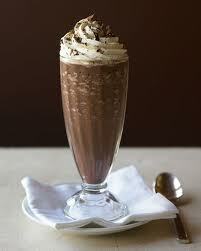 In a snowstorm in the Austrian Alps, a rich Viennese hot chocolate is a perfect cure for cold fingers. Belgium: Although it doesn’t enjoy quite the fame that France does for its food, Belgium is known for its world-class chocolatiers (think Guylian’s seashell pralines, Côte d’Or and Godiva) and its street waffles, which have been exported all over the world. 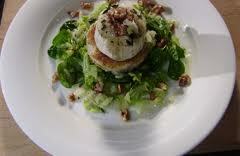 France: Everyone recognises that the French have an exquisite culinary tradition. I’ve actually worked in a genuine French restaurant, La Parisienne, and can safely say that a Salade de Chèvre Chaud (Warm Goat’s Cheese Salad) with honey drizzled on top is by far my preferred choice. I also can’t get enough of French cheese (any variety!) or pâté on a fresh French baguette. 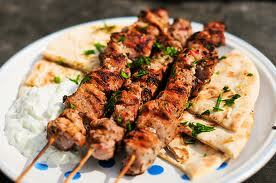 Greece: Alongside with Horiatiki Salata (Greek Salad – a delicious salad with cucumbers, olives and feta cheese), which is exactly what you need to freshen up in the summer heat, Souvlaki (marinated pork on a skewer) is an absolute must in Greece. Italy: Choosing just one dish from the immense variety of Italian cuisine is difficult, but I find that what I dream about eating when I’m back in England is something that you can only get hold of in Italy, and that is the Pizza Modena. I spent 6 months in Modena, a city famous for its balsamic vinegar, and this is a pizza bianca, meaning that it doesn’t have the usual tomato base. The base topping is mozzarella, and this is then covered with pieces of pancetta, scaglie di grana (flakes of parmesan) and balsamic vinegar syrup. Delicious! My favourite pasta would have to be ravioli, especially in a good tomato sauce. 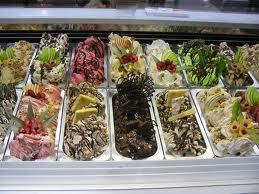 And I couldn’t neglect the Italian art of ice-cream could I! My favourite flavour of gelato is nocciola (hazelnut). But half the fun of eating Italian ice-cream is trying to decide which of the hundreds of flavours available is your favourite, which simply means you have to try them all! 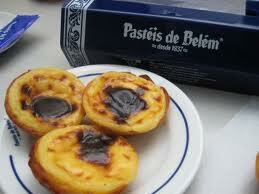 Portugal: A must-visit in Lisbon is the Pastéis de Belém café which sells the legendary custard tarts. Prepare to queue as the 175 year-old café is also a big tourist attraction. Russia: I’m dying to visit Russia, but not at all for its food. I’ve studied Russian for two years and our lovely Russian teacher took us out one evening for a typical Russian meal. Aside from the copious quantities of vodka (apparently a shot of vodka is drank between each course, much like a sorbet…), they apparently eat a lot of soups, one of which we tried was Borscht (beetroot soup which is actually more Ukranian in origin than Russian). 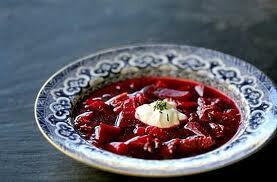 I feel I’m not missing out on too much by not having a huge soft spot for Russian cuisine. 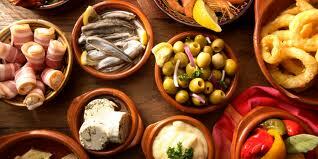 Spain: I adore the idea behind tapas, which is best eaten in a big group of friends, ordering large raciones to be shared by all, so you get a taste of lots of different delicacies. My two favourite tapas are calamares (fried squid) with a splash of lemon, and tortilla, which is an omelette made with potatoes. My Spanish friends taught me to cook this first-hand on my penultimate day living in Spain, as a farewell meal, and it strongly reminds me of my 6 months in Córdoba. 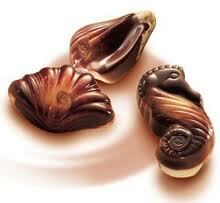 It can be bought ready made in the supermarket and I could eat it at any time of the day, often even at breakfast! Delicious and so simple. Despite everyone’s obsession of paella, I don’t see the attraction. I’ve had a few truly wonderful paellas (including the homemade paellas cooked by my flatmates in Córdoba) but the majority of the others I’ve had haven’t been anything particularly spectacular. I’ve never actually been to Valencia, the true home of paella, but I feel paella is a little overrated. Switzerland: Fondue, fondue, fondue. There is no competition here. 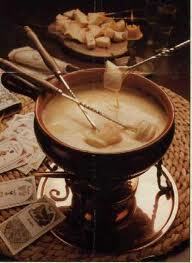 That dreamy combination of melted (slightly alcoholic) cheese and bread on a fondue forks beats Raclette any day. Apparently tradition says that if a man loses his bread in the pot, he buys drinks all around, and if a woman does, she must kiss her neighbours.